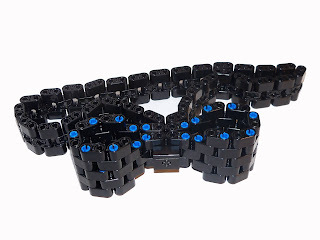 If you'll remember, I built a LEGO dress for my wife. But I also outfitted myself to match her with a LEGO built pair of glasses, belt, and bowtie. That bowtie has become a replicable item. 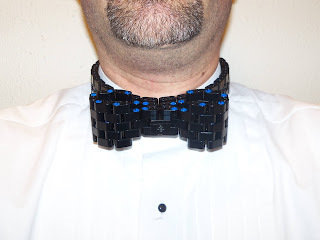 With the leftover parts from the dress I was able to create 6 more LEGO bowties. They are available as a limited first run in my Etsy store. Perfect for a wedding party, geeky prom or grad gift. See how amazing it looks? When I wear it to events I get nothing but smiles and positive reactions!